Fragrant, slightly sweet, herbal tofu and intensely mushroomy mushrooms to eat with rice and salad leaves for work lunch tomorrow. Yum! The flavours of the marinade change as it bakes, and come together beautifully. A peppery salad leaf such as rocket makes a lovely contrast! 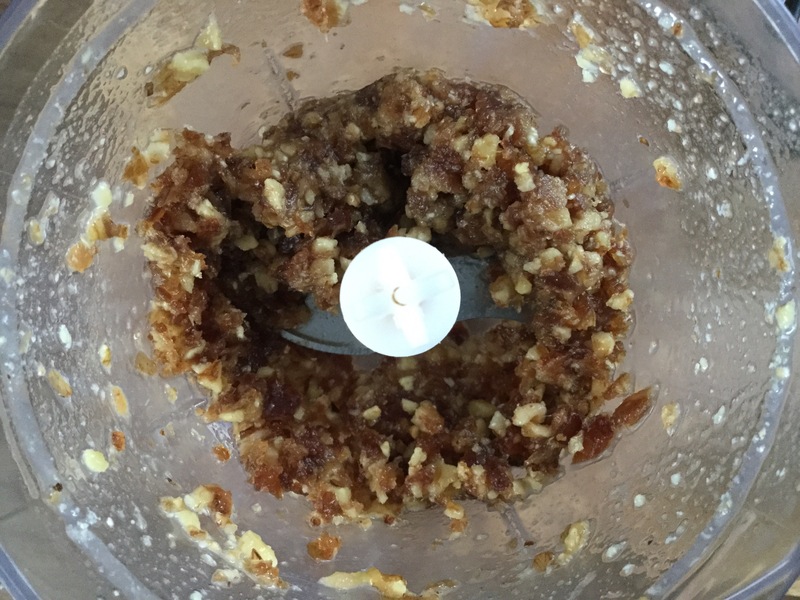 For the marinade simply whizz all the ingredients together in a food processor to make a loose paste. 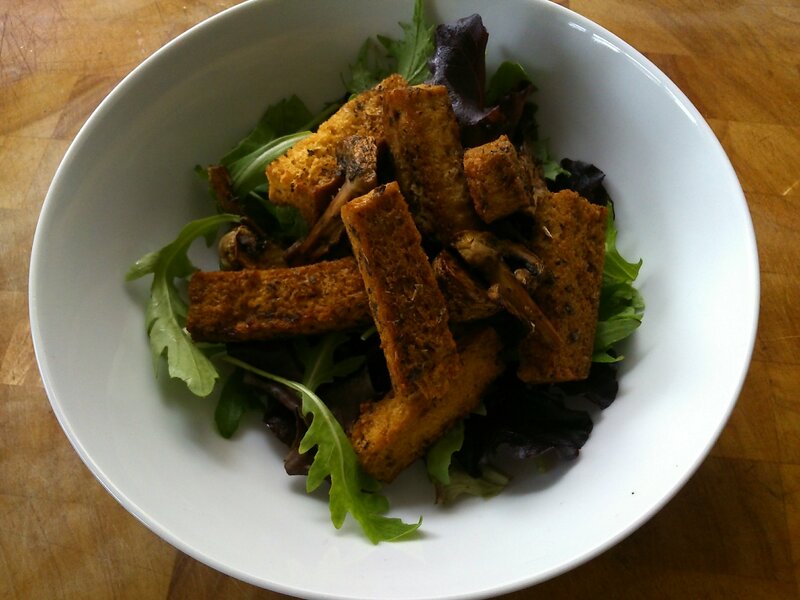 In a large roasting tray, toss the tofu and mushrooms with the marinade. Leave for 20 minutes. 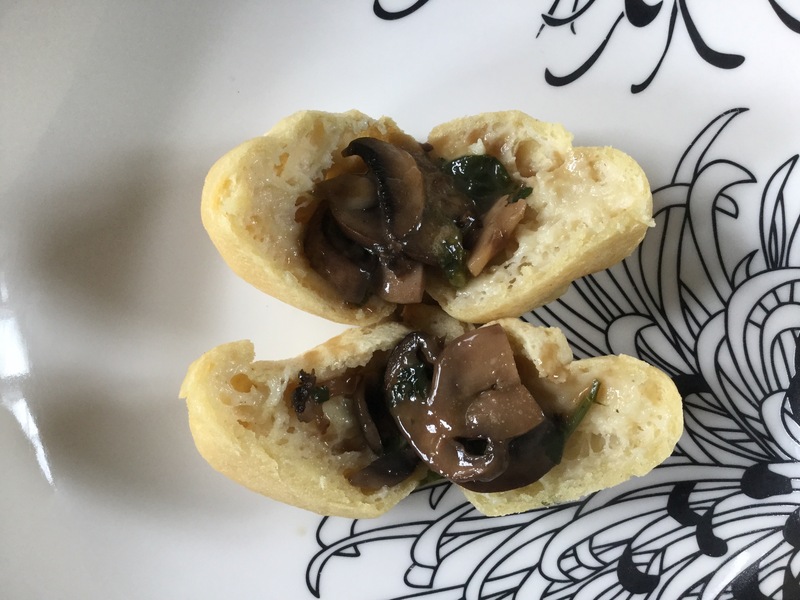 Preheat the oven to 220 degrees c.
Transfer the tray to the oven and bake for 30 to 40 minutes, turning the tofu and mushrooms a couple of times. When it’s done, all the liquid should have evaporated, the and the tofu should be browned and crisp on the outside. I’m working from home today, which gives me a bit of extra time to spend in the kitchen in the morning. 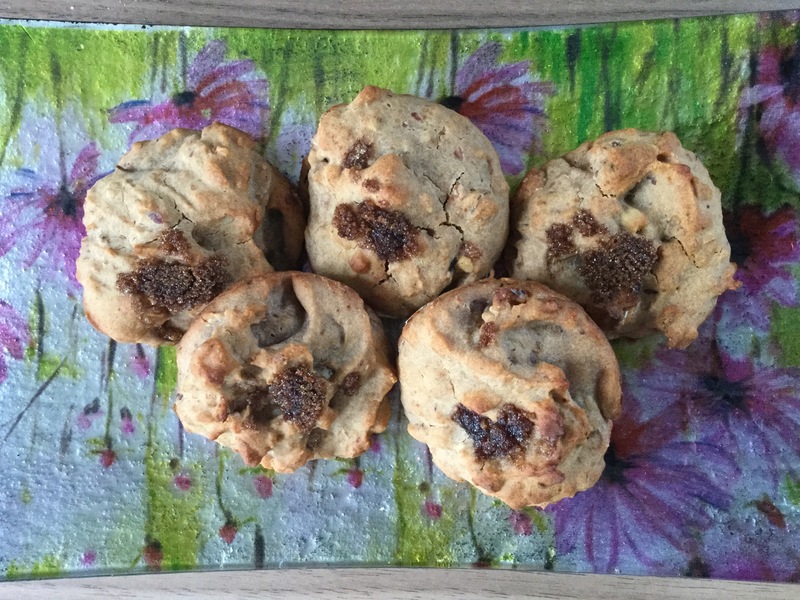 I really fancied something like a tea bread, but didn’t want to wait an hour or so for it to bake, instead I made it in a cupcake tray! They’re best cooked to be eaten straight away, as they can toughen up a little if left. Although they’re great toasted if that happens! 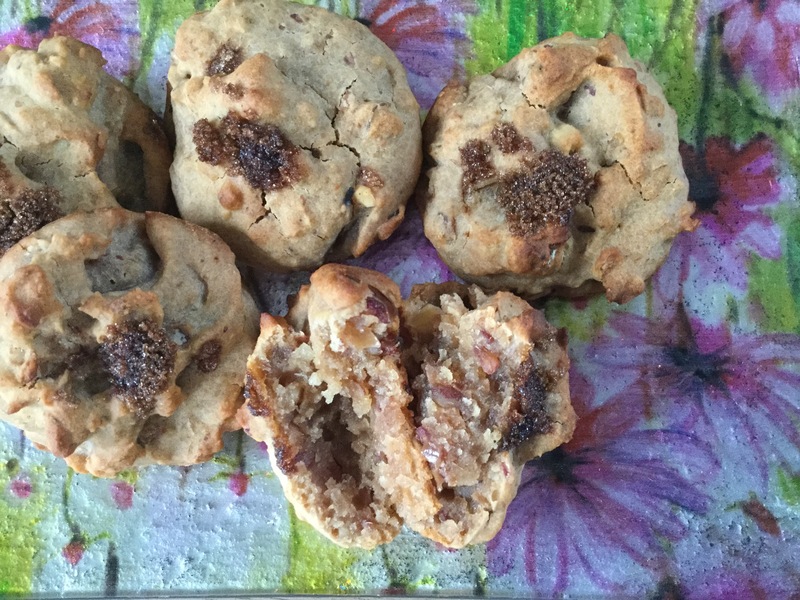 They’re such a lovely treat, they are slightly chewy with tonnes of flavour from the dates, walnuts and tea. After soaking your dates, don’t throw the tea away as it gets used for the liquid in the batter. In a large bowl pop the flour, baking soda, pinch of salt and agave syrup. Melt the coconut oil, I’ve just taken to microwaving the glass jar with the lid off and pouring it straight out. Add the date mixture to the flour and 150ml of the reserved tea, mix well. 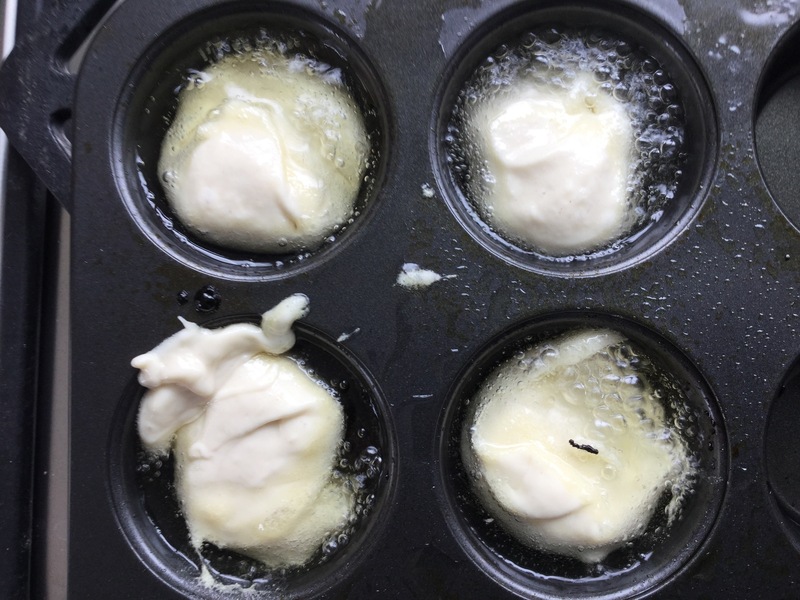 Spoon the mixture into 6 muffin tin holes and flatten it off a bit. I sprinkled a little dark muscovado sugar on top at this point but I don’t think it needs it. Place the tray in the oven for 20 minutes or until cooked through. 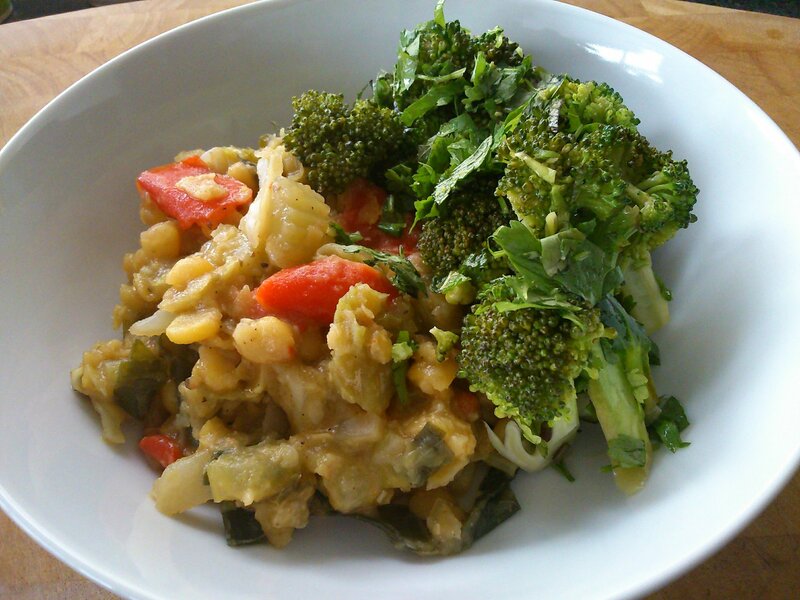 This is another one of my work lunches, full of vegetables, herbs and spices and lots of satisfying flavours. Daal is always a great choice for lunch, it’s filling but not heavy and very versatile. The broccoli though, was surprisingly good for something so simple! I made it really just to get a bit more green into the meal, but it’s firmly on my make again list. 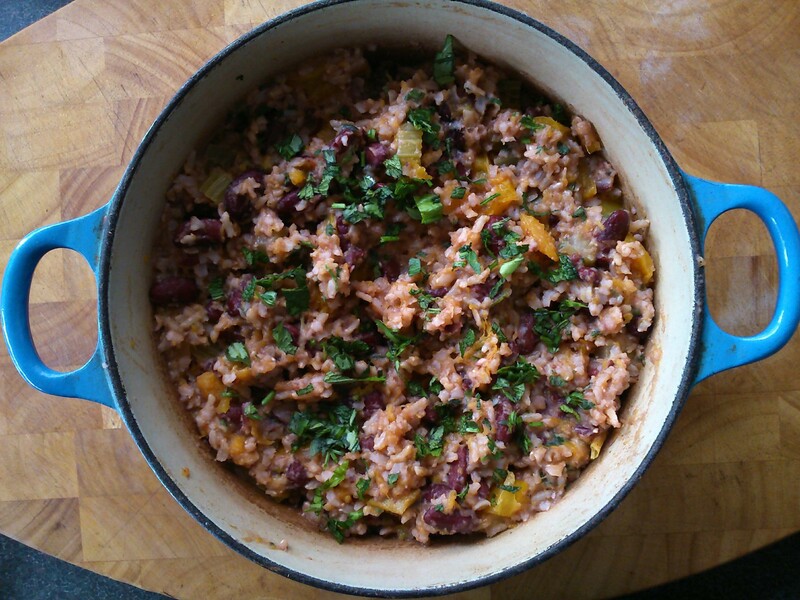 This is the last one in my trio of recipes from one batch of rich savoury beans! We ate it cold for lunch at work last week, and it made great filling meal without being heavy. 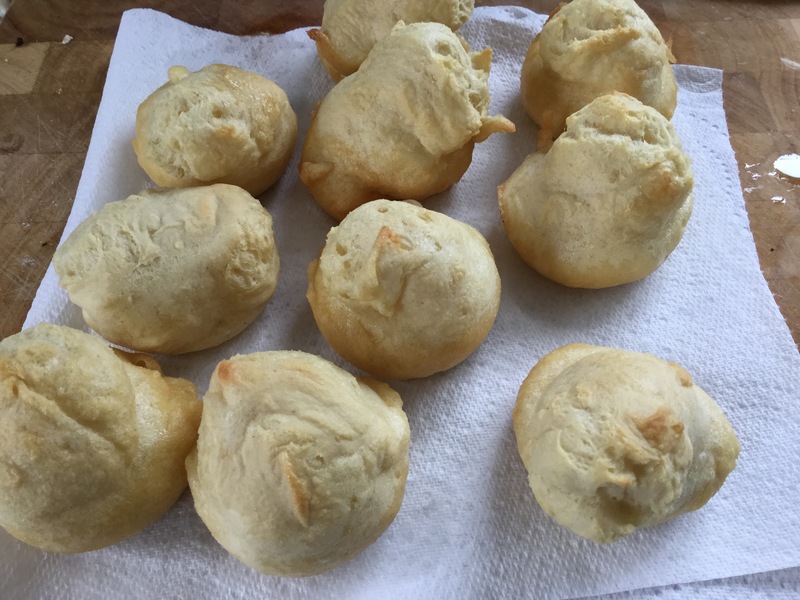 The vegan cream cheese is so simple, and adds a lovely richness without being cloying like the dairy version can be. 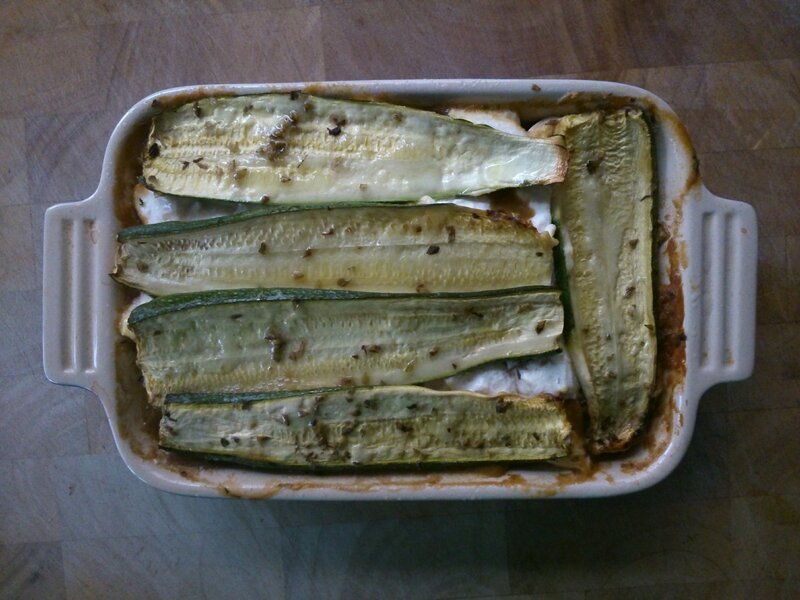 The courgette is marinated before baking in a very simple water based mixture including cassia bark and oregano, for a little hint of moussaka flavour. The vegan cream cheese does need to be started a few hours before the rest of the recipe, but it takes only a couple of minutes to set it straining. I used a coffee filter rather than muslin this time, which worked a treat! When making this recipe I had, for the first time ever I think, a bitter courgette… It didn’t spoil the dish thank goodness, but has reminded me to always taste vegetables before cooking with them! Considering my great love for soup, you’d have thought I’d have more affection for cream of tomato soup. It seems to be such a favourite among so many people, but although I like it (it is soup after all), It’s never particularly been a flavour I’ve craved. 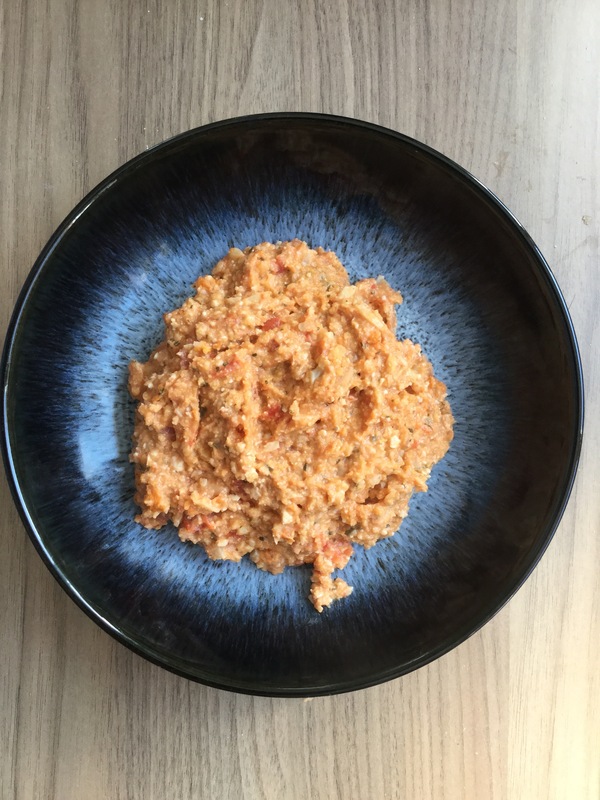 Over the weekend however, I had a surplus of tomatoes, so I set about creating a recipe that would change my mind… and do you know, I think I’ve done it! The tomatoes are roasted before being combined with a base of braised vegetables and spices, and with a simple savoury cashew cream to add richness, this soup really is delicious. 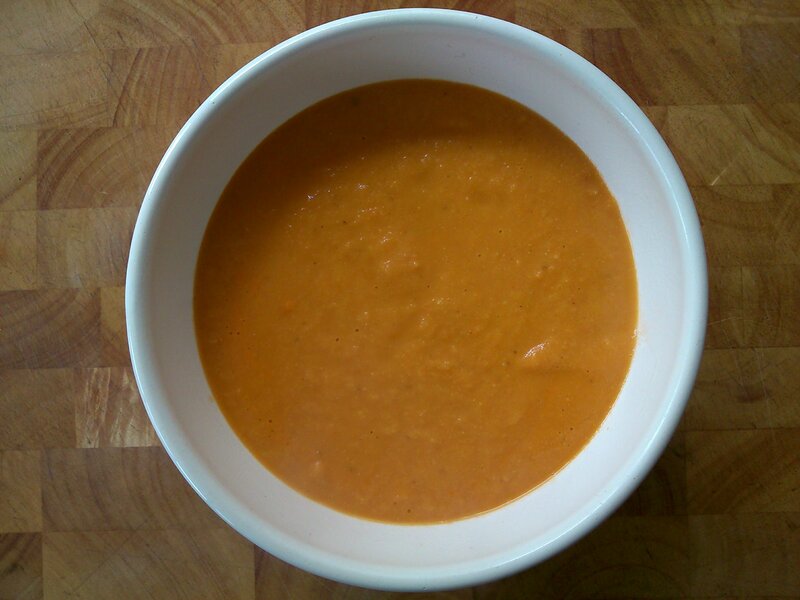 There are deep layers of flavour that I’ve not managed to get into a tomato soup before, I think the hint of fennel seed and celery seed helped with that!